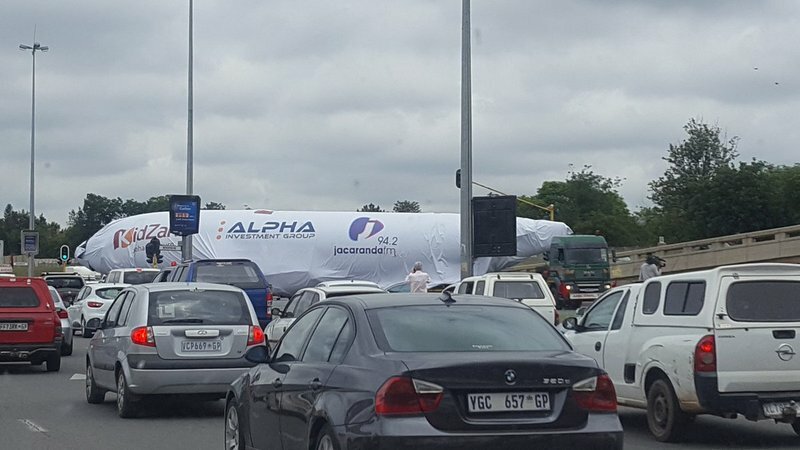 On Tuesday morning, a large flatbed truck carrying a Boeing 737, hit Gauteng traffic as it made its way to Fourways Mall, the home of Kidzania Johannesburg. Tuesday morning saw the internet abuzz over a Boeing 737 that took to the busy streets of Gauteng to make the journey to its new home at KidZania. Breakfast Show hosts Martin Bester and Tumi Morake got a taste of what's to come when KidZania opens in Johannesburg as they followed the plane enroute this morning. They also spoke to the CEO about the new venture. A few lucky people managed to spot the Boeing on route to Fourways Mall.